Put 2 cucumber slices and 2 sprigs of dill in the bottom of a shaker then top with Jack Rudy tonic syrup and Luxardo Maraschino. Muddle to break up a bit. Add the Hendrick’s gin, Cocchi Americano, lime juice and 1 full dropper of Boston Bittahs to the shaker. Add ice and shake vigorously until the outside of the shaker begins to frost. Double strain into a rocks glass filled with ice. Top with club soda and the last dropper of Boston Bittahs. 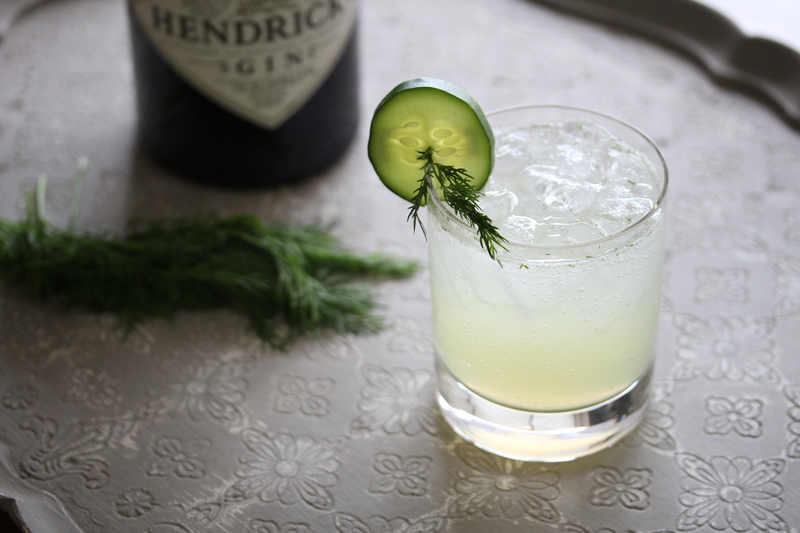 Garnish with a cucumber slice and dill sprig. Airy and fresh, the Dillionaire just smells like spring. 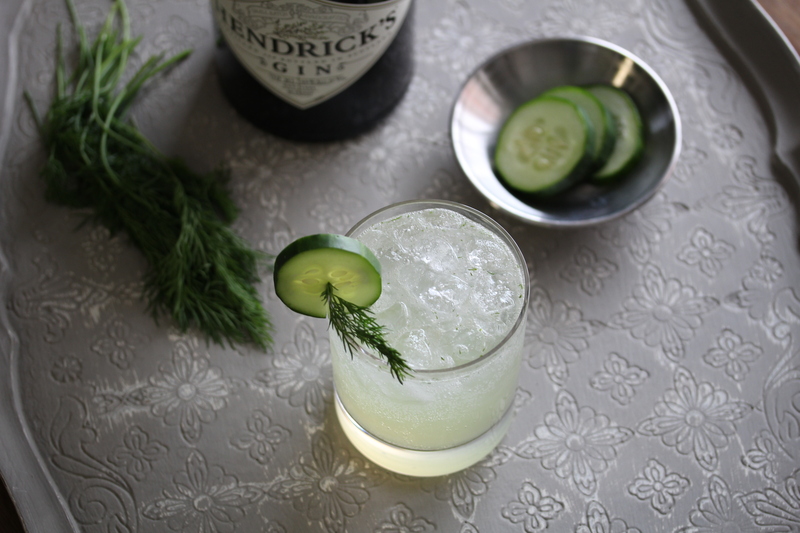 I love the combination of dill and cucumber with Hendrick’s gin and lime: this effervescent drink will serve you well deep into the hot days of summer. Cocchi Americano and Bittermens Boston Bittahs (which are flavored with citrus and chamomile) balance out the sweetness of rich maraschino and tonic syrup. Spring is a great time to break out some more refreshing drinks. For me says refreshing like Hendrick’s gin and cucumber. While I love the simplicity of using Hendrick’s in gin and tonics, I wanted to make something a bit more “cocktaily.” The Jack Rudy tonic syrup makes for a tasty change of pace from more traditional tonics and I like being able to adjust the amount of syrup relative to soda. This one actually started off as a mint drink, but after trying it with dill, there was no going back. I also love how easy it is to tinker with the flavor of this drink. Don’t have Boston Bittahs? No problem. Try another type of citrus or lime bitters or even skip the bitters all together. Got a ton of bitters? Try lacing a few drops of The Bitter End’s awesome Thai Bitters around the inside of the glass to add hints of lemongrass and basil. Not a fan of dill? Replace it with mint for something more Mojitoesque. In fact, Dillionare actually started off as a mint drink, but after trying it with dill, I liked it even more.